^ 1.0 1.1 1.2 1.3 1.4 1.5 1.6 1.7 1.8 GCT-PH1 – Population, Housing Units, Area, and Density: 2010 – State — Place and (in selected states) County Subdivision. 2010 United States Census. United States Census Bureau. [2017-02-07]. 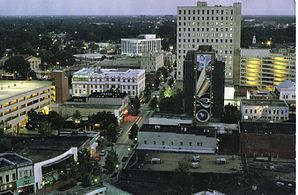 ^ 2.0 2.1 Louisiana: 2010 Population and Housing Unit Counts 2010 Census of Population and Housing (PDF). 2010 United States Census. United States Census Bureau: III-2. 2012-09 [2015-06-22]. （原始内容 (PDF)存档于2015-06-22）. ^ Louisiana State Legislature. 2015 Louisiana Laws Revised Statutes TITLE 33 - Municipalities and Parishes RS 33:1 - Petition for incorporation; contents; circulation; required signatures. Louisiana State Legislature. [2017-02-07]. （原始内容存档于2017-01-11）. ^ Louisiana State Legislature. 2015 Louisiana Laws Revised Statutes TITLE 33 - Municipalities and Parishes RS 33:341 - Division into cities, towns, and villages. Louisiana State Legislature. [2017-02-07]. （原始内容存档于2017-01-11）. ^ Louisiana State Legislature. 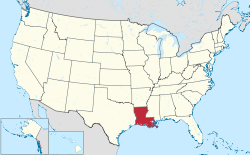 2015 Louisiana Laws Revised Statutes TITLE 33 - Municipalities and Parishes RS 33:342 - Change in classification of municipality; governor's proclamation; census not conclusive; judicial notice. Louisiana State Legislature. [2017-02-07]. （原始内容存档于2017-01-11）. ^ Louisiana State Legislature. 2015 Louisiana Laws Revised Statutes TITLE 33 - Municipalities and Parishes RS 33:361 - Municipal powers. Louisiana State Legislature. [2017-02-07]. （原始内容存档于2017-01-11）. ^ 7.0 7.1 Municipal Directory. Louisiana Municipal Association. [2017-02-07]. ^ 8.0 8.1 2000-2010 Entity Changes. 2010 United States Census. United States Census Bureau. [2015-04-02]. （原始内容 (txt)存档于2015-04-02）. ^ Brand, Anna; Villavaso, Stephen. Revisiting Palermo: The Twentieth Anniversary of Louisiana's Landmark Land Use Rights and Zoning Decision and it's Legacy for Planning in Louisiana. Loyola Law Review. Spring 2011, 57 (1): 113–133.